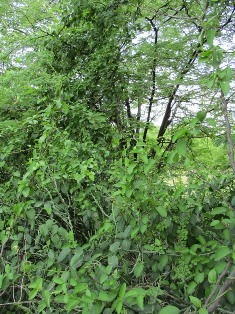 We are known as the reputed Processor, Exporter and Supplier of Gymnema Sylvestre. We are effective, and provide natural treatment for diabetes, gymnema leaves are being used in traditional medicine since the 6th century B.C. Gymnema Sylvestre is an herb, which is native to the tropical forests of southern and central India. Gymnema Sylvestre is mainly used as leaves by all major extract companies for its Gymnemic acid, it is used as tea cut form in Diabetic tea bags and its powder is used in Ayurvedic formulations. Our premium Gymnema Sylvestre leaves are demanded all across the world for best and clean quality. We provide Gymnema Sylvestre to the clients at affordable rates. Collection of Herbs : We are collecting Gymnema Leaves around 50 to 100 tons every year. We sell them as raw leaves in bulk to all Extract companies, and Export as Pure Leaves clean and pack in 25 kgs new gunny bag as per export standard, as tea cut leaves,we process leaves into tea cut form, pack in 25 kgs new HDPE bags inner with poly bag and as fine powder also to Ayurvedic companies as per their specification. We are the sole processor of all herbs and green tea leaves into tea cut form for a well known green tea company, "Gtee botanical extracts pvt ltd, chennai", to fill in green tea bags and green tea cut leaves mix with other ingredients in their other herbal tea bags such us, green tea with mint / lemon & ginger / ginseng / chamomile / jasmine and also other pure herbs like tulsi leaves (ocimum sanctum), moringa oleifera leaves and dia-g-tee tea bags.